Do you want to learn about a proven, high-performance and cost-effective insulation material that has been in use for decades? 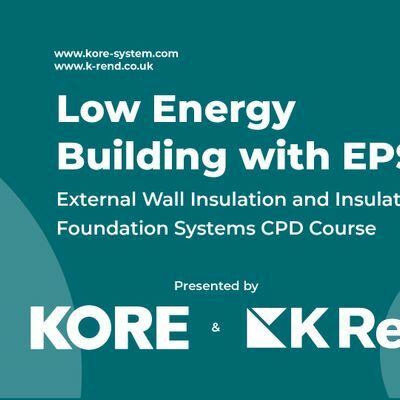 Do you want to learn how to insulate a new build or retrofit, domestic or commercial project to a low energy standard, including nZEB and Passive House? Do you want to stay up to date on the latest innovative insulation solutions? If so, our continuing professional development course, in partnership with KORE Insulation & K Rend is for you! This FREE Continuing Professional Development breakfast briefing will take place on 4th April, 2019 at the Radisson Blu Hotel, Belfast. The session will start at 8am and last approximately 90 minutes. Those in attendance will earn CPD credit points. The main objectives of this session including learnings on the benefits of Expanded Polystyrene insulation and compliance with low energy building standards. 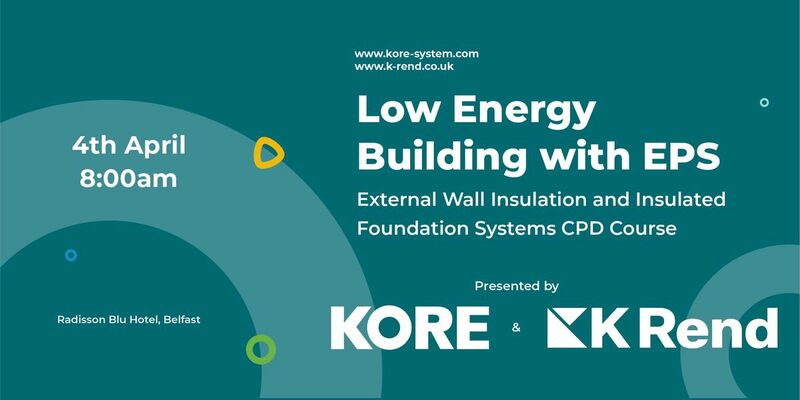 The course will focus on two solutions - KORE’s Insulated Foundation System and the K Rend External Wall Insulation System. Those interested in working with a high quality, cost effective insulation material to achieve low energy standards, like nZEB, Passive House Certification, EnerPHit etc. Anyone in the construction and building industries with an interest in low energy building and the fabric first approach. This CPD will provide a Quality & Assurance checklist to ensure jobs are carried out to the correct standard. There will be an opportunity to view and discuss the comprehensive range of K Rend silicone render finishes and colours. Members of both teams will be available after the conclusion of the breakfast briefing to answer questions in depth, provide contact information for quotations or to simply have a chat! This CPD course is held on a first-come, first-serve basis. Tickets must be reserved through the Eventbrite platform. In the event that all available seats are reserved, a waiting list will be made available through the KORE website. Tickets must be presented for admittance.